Best Time to GO: May - October. If you'd like to experience harvest, visit in the Fall. While there are four commercial airlines that fly regularly into Sonoma County's airport (STS), most people fly into SFO and rent a car. Clearly there is opportunity to drink and drive in wine country, but please don't. Schedule time to eat, share tastings, pack snacks, or just hire a car. Even if in some locations you struggle with the cell reception, this area was one of the first to embrace Uber, and Lyft followed suit right away. Both are great options, but don't expect them to be knowledgeable on wineries or traffic. There are several transportation services we recommend if you want someone to do the driving for you, but it's nice to have the flexibility of a car if you are staying in an Airbnb. If you are someone who is interested in biking through wine country, consider booking a guided tour but keep in mind the biking route can be costly and won't include tastings. I like the one offered in Sonoma because it takes you off road and into the wine vines. RTip: We like to arrive in Wine Country via the Golden Gate Bridge. Two of our favorite stops on the way include the Buena Vista for an Irish Coffee, or a beer at Lagunitas in Petaluma. On our return trip, we often stop at Cavallo Point for breakfast on the historic patio at Murry Circle. It's a lovely view and a nice way to end your visit. While the length of the harvest and it's terminology varies among winemakers, "crush" is typically understood as time in which the grapes are picked and smashed. Although, it's quite a bit more complicated than my visions of Lucielle Ball jumping around barefoot in a wine barrel would suggest. The vines in California change color mid to late Summer as the grapes ripen and their sugar content rises. Grape farmers are savvy scientists, and the time at which they decide to begin "crush" is often difficult to pinpoint or predict. You can expect however with some level of confidence that the last weeks of September and the first three of October, you will be able to experience first hand this process at various wineries in the region. Check out the Sonoma Crush Event as well as Somona Grape Camp to really the the most out of harvest. RTip: Paso Robles Wine Country near Big Sur, also does a fabulous job celebrating and cultivating this unique season. RTip: For a little less expected options in this area, consider Luxury Airstream Camping in the heart of Sonoma's Russian River Valley. This smaller hotel hideaway in the Russian River Valley is the definition of centrally located Sonoma luxury. Make a point to eat here, especially if you are staying overnight. We suggest an upstairs balcony room overlooking the gorgeous courtyards and acres of lush wine vines. The Front Room Bar & Lounge is exactly that, a cozy old-school lounge. They offer outdoor bocce, and in the fall of 2018 they'll have an on-site spa, which can never be a bad thing. What I love about this hotel isn't properly boasted about on The Fairmont's website. This historic California mission style hotel dates back to the 1920's and is located perfectly on highway 12 between both Sonoma and Napa counties, near one of CA's first premium wineries. I adore the charming European-style rooms in the historic part of the property, but plan accordingly as there are no elevators for hauling up luggage or cases of wine. This resort is not only affordable, but it offers a world class spa with unique access to the natural mineral hot springs of the area and free wine tastings in the lobby after the wineries have closed for the day. If you are staying with a group, this place is outstanding! It accommodates up to 10, each couple with their own bedroom and bath. The property itself is lovely inside and out. The outdoors are expansive including a bocce ball court, pool house, air stream tequila bar, a hot tub and beautiful gardens. You may want to just grab a few bottles of wine and hang out. We did. Rtip: If you take our advice and stay in, we suggest you have dinner catered and delivered from Cochon Volant BBQ. Rtip: If these two home rentals are not available, we suggest you also consider The Warrington House in Santa Rosa which still sleeps 8 people comfortably in an incredible setting with a Jacuzzi and a wine bar. While we've hit a record of 11 wineries in a single day, nowadays we suggest 3-4 to get the most out of your experience. Usually one or two appointments is appropriate to either book end your day or plan around meals. These guidelines allow for both flexibility and spontaneity. We've learned to start the day with bubbles and and if possible, the furthest from where we plan to finish our afternoon. 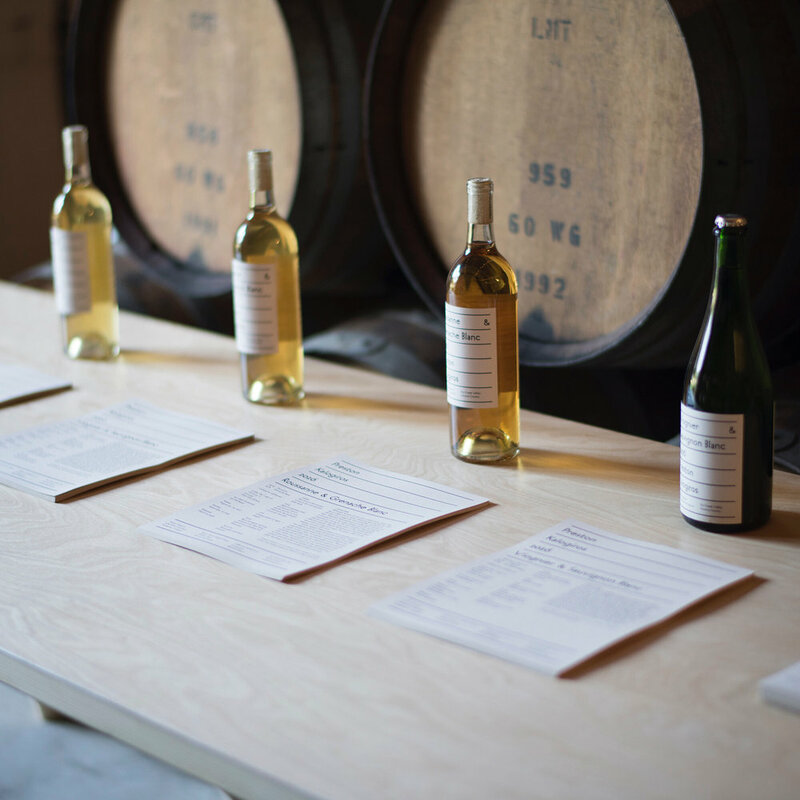 Most wineries are open daily from around 10-4, and roughly half require appointments. 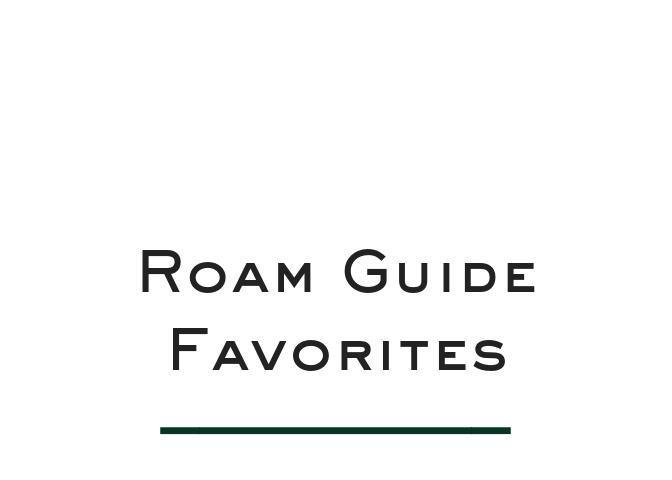 For the purposes of this post we are going to feature five well-loved Sonoma wineries for you to begin your planning. All that said, there are no mistakes in wine country. Be sure to explore our custom google map to visually map out your adventure. Like I said, we always start with bubbles. In south Sonoma county we begin the day sitting outside at Gloria Ferrer. North in Healdsburg, the J. Vineyard's bubble room is lovely and the grounds are perfect for a picnic. In the middle, especially if you are staying in the Farmhouse Oasis, Iron Horse Vineyards offers tastings in a rustic barn attached to the working winery and overlooks the estate vineyards. As a former San Francisco resident I've visited countless wineries and Gary Farrell was not on my list until I met Leslee Miller of Sip Better, but it's been on my itinerary ever since. 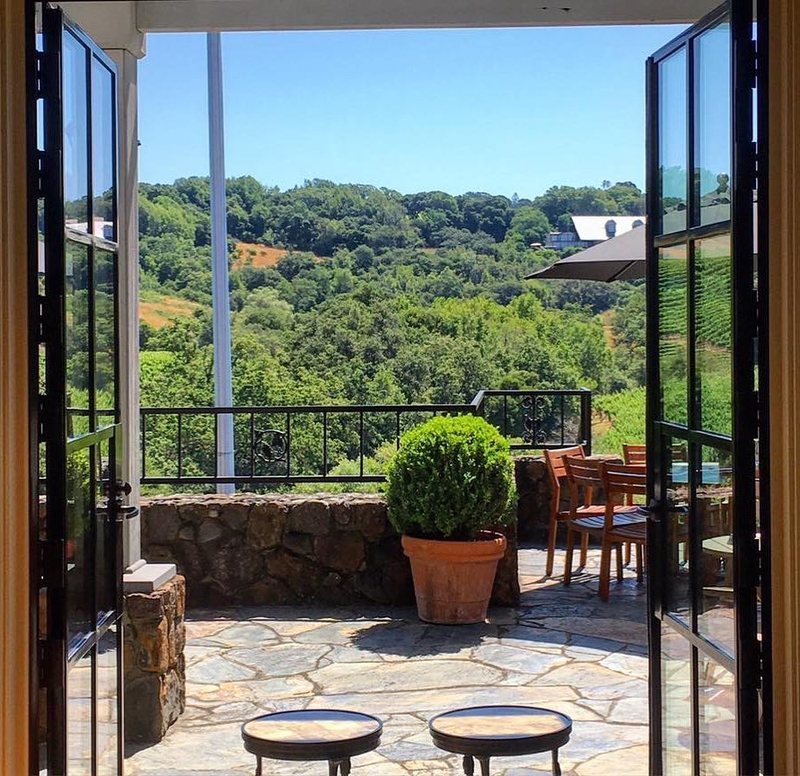 The patio alone, once discovered, will elevate this winery to the top of your list too. If you can, book the blind tasting you won't be disappointed. Reservations required. The Chalk Hill setting is so magical and the foundation of this winery isn't just in grape growing but in culinary agricultural. For more than a century, their land has been an important producer of gourmet produce, organic meats, poultry and wine. Because of this, the culinary tour and tasting is the best choice, however they are open 10-5 without reservations, so any tasting will do. For all the chardonnay lovers out there, the shop page has 4 categories: Red Wine, White Wine, All Wine and Chardonnay. Need I say more? Totally off the beaten path, this winery known or its Chardonnay and Pinot Nior is quite possibly perfect. Affordable and special, this appointment only experience is top notch. The staff is approachable, humble and knowledgeable, and the wine is excellent. 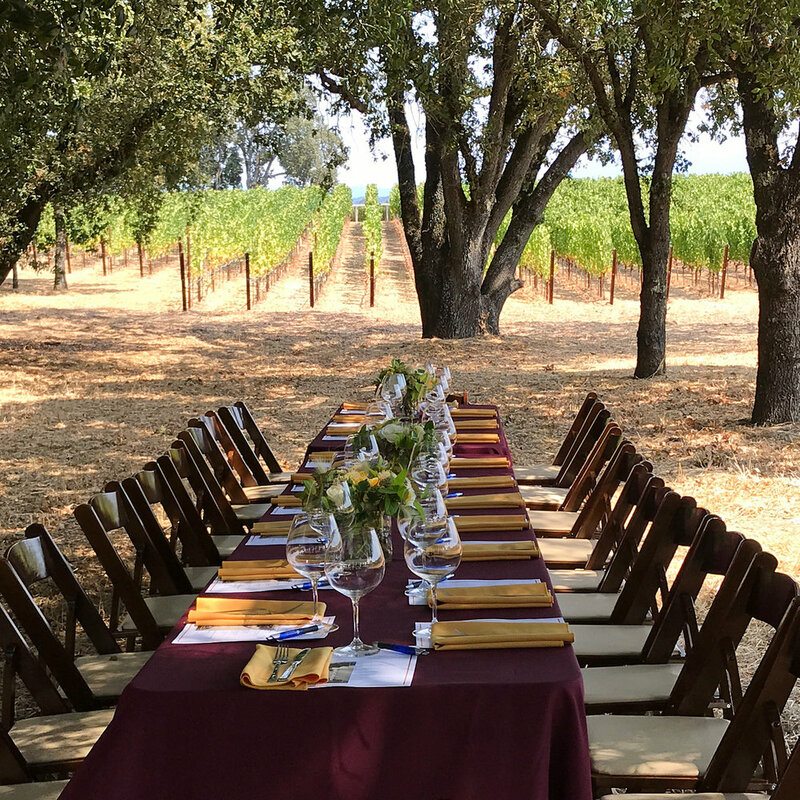 If you are going to join a Sonoma wine club, this is it. If you plan to visit, slot it into the first half of your day. "Ours is a shared community of wine lovers, story tellers, family memories and treasured moments. A community of wine. Come taste our estate wines, homegrown olive oil, just-baked bread, fresh and pickled vegetables." I grabbed this from their website because I couldn't say it better myself. This place is low key and great for a picnic, which we suggest you grab from the nearby Jimtown Store. Life is simple here, and you won't need an appointment unless you want a farm tour. Bennett Valley existed for many years in quiet obscurity, and that's perhaps why this winery still feels like a secret. I rarely drink Sauvignon Blanc but it's the best wine for oysters (you know how much we love those at R&R), and Matanzas creek has a great pairing in that regard. 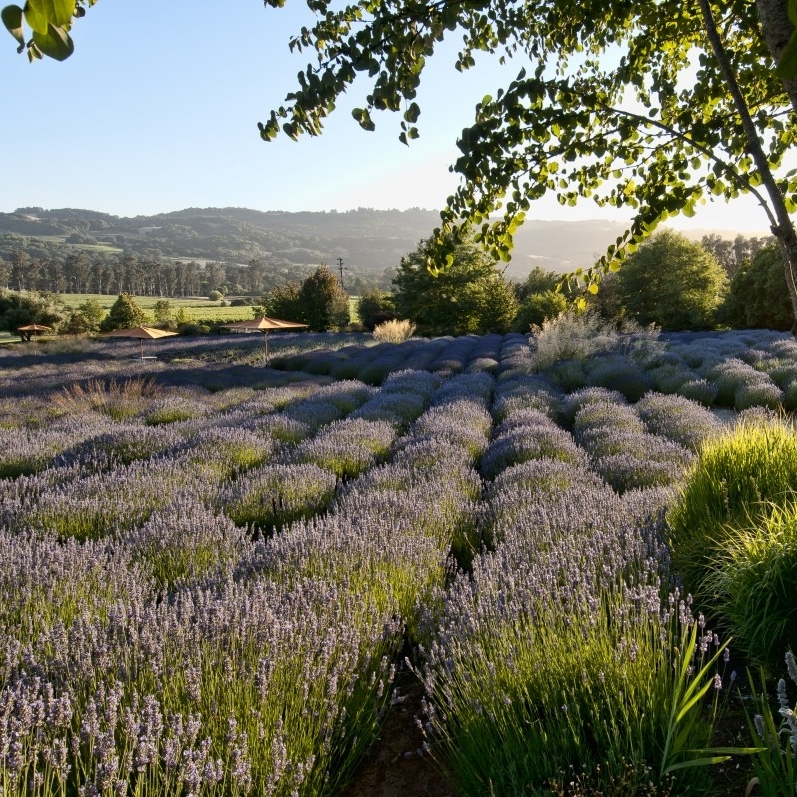 The lavender that grows here is quite spectacular and although it peaks in June you can enjoy a tasting here anytime without a reservation. Another great spot for a picnic and a little bocce. RTip: In April of this year, the Reno Gazette identified 25 wineries across Napa and Sonoma affected by the October 2017 fires. Click here to read the article and explore the interactive map. Among the small town charm of Sebastopol, you'll find all kinds of converted warehouses full of artisanal goods from 40+ local makers and vendors. Be careful this place is expansive and you could spend all day if you're not careful. Favorites to check out include all the "cute" things at Little Four Store, and Tamarind clothing for their unique and comfortable dresses. While they have a location downtown in Sonoma's historic plaza, we prefer the thrift center location on Agua Caliente Rd. Walking distance for those staying at Twelve Oaks, this gem is filled with unique coffee table books, glassware, housewares, platters and art. While it's normal for me to be on the hunt for good oysters, that's not my favorite thing on the menu. One of the best things I ever ate was at Willi's. I know it's bold statement, but the melted cheese and chorizo with cilantro pesto & fritos is incredible. Follow it up with a warm lobster roll and you might need a nap with that wine. RSomm Says: to pair the cheese dip with a Roederer Estate Sparking Rose and you won't be disappointed. This intimate one room American bistro is perfect. A reservation is a good idea, but they do keep a handful of the dozen or so tables available for walk-ins. The owner Saul is often bouncing between tables to check in on guests and ensure they are well-fed. The daily risotto is always a good choice but the meat courses are also rich with flavor. Yum! Inside The Barlow, among all the fun new restaurants and shops, you'll find Zazu. This spot leads with it's ingredients, is super casual, and well deserving of all the press. We recommend the handmade pasta and grabbing a beer before hand at Woodfour Brewing. The microbrew scene is blowing up in and around Santa Rosa and Cooperage Brewing is playing their part. Much of the appeal comes from the delicious and unique events they offer monthly. At this tap room you can tell they are having fun. Kids, families and dogs are welcome on the outdoor patio and the rotating hop pale ale is top notch. Redhorse Pizza is available Thursday - Sunday and equally top tier. New and hot in downtown Santa Rosa, and right on the revamped courthouse square, is Perch and Plow. If you don't have time to discover their food, please make time for the specialty drinks. Many of which give a new meaning to the idea of a, "salt-rimmed glass." A cross-body is always best for a day in wine country. You can be hands free for tasting and you won't leave it behind. I love my Vineglace and I use it all the time for keeping wine cold on a picnic or at happy hour outside in the warm sun. However when I'm traveling I prefer my Corkcicle Air. Another great idea is a padded re-usable wine bag to safely tuck away any wine you decided not to ship. The Jet Bag pictured below, worse case, absorbs the entire bottle if it breaks. Unless you are flying abroad, TSA allows an unlimited amount of wine under 24% abv. Shipping direct from wineries, which we highly recommend, can vary depending on your home state, click here to view the individual regulations. Next time, we'd carve out time to blend our own wine again. This we've done several times at Ravenswood Winery, but you can also become a winemaker in 90 minutes at The Buena Vista Winery. This experience is really worth it, especially if you have an interest in learning more about winemaking. RTip: For a real education, check out the "Norad of wineries," Palmaz in Napa, but be sure to inquire about a tasting while on your tour, as it can get lengthy.